Hello everyone! 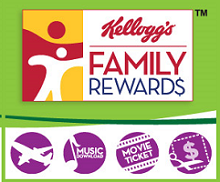 Just to let you all know, there are a few new Kelloggs Family Rewards Codes available and I wanted to share them. Here they are, expiration dates are not known at this point.